Premed, premeds, premedical: it's all the same! For over 10 years FutureDoctor.net has been helping premed students become doctors. We continue to have the largest premed resource (hundreds of pages online). Our non profit premed website includes materials reproduced with permission from The Gold Standard, the AAMC* and from premed students like you. The Gold Standard MCAT*: Helping premed students get into medical school. Do you have a friend who is either in premed or interested in medical school admissions, the MCAT*, the Writing Sample, interviews, or personal statements? 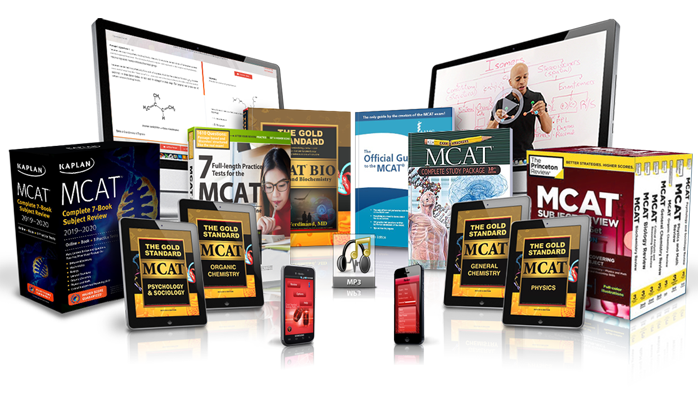 Let them know about The Gold Standard MCAT*: Helping premed students get into medical school. visit the MCAT and Premed Store on eBay, click here. Confidence begins by understanding the medical school admissions process. Read about the different medical schools which interest you. Check their websites, email them (Directory of US Medical Schools ). Clarify any outstanding issues. Note the difference in importance placed on academic aspects like GPA or MCAT results or on non-academic aspects like letters of reference, autobiographical materials or interviews. Be sure you are aware of the regional considerations (for this you should consider getting the AAMC's Medical School Admissions Requirements ). When you know the grades and/or MCAT scores you need - prepare, study, attain your goals with some to spare (Average MCAT Scores and GPAs in US and in Canada ). Along the route, bend your thoughts to the non-academic part of the application: prepare, learn, read, and practice. All these things you do as if your future career depends on it, because it does. This blog is designed to address the entire admissions process to medical school. We have already discussed your choice of premed studies and how to improve your grades in the first blog. The MCAT will be dissected, necessary scores discussed and a clear plan to excel is presented. We will also turn to the non-academic aspect of admissions. The interview is explored followed by sample questions and answers. A discussion on autobiographical materials, personal statements and letters of reference are each followed by sample successful submissions. You will also find current changes and trends in medical school admissions and education, lists of medical schools from across the country including average GPA and MCAT scores, The Hippocratic Oath, financing medical school, doctor's salaries, humor and much more. By the way, you're driving.